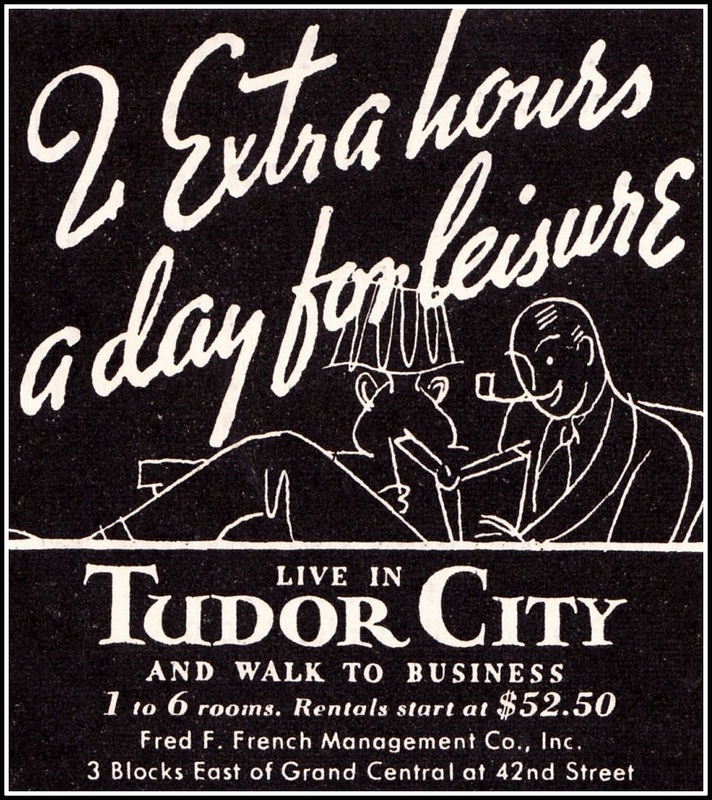 All things considered, we are living in a halcyon era in Tudor City, but this has not always been so. The community has certainly had its share of challenges over the last 91 years. Below, a tough-times timeline. 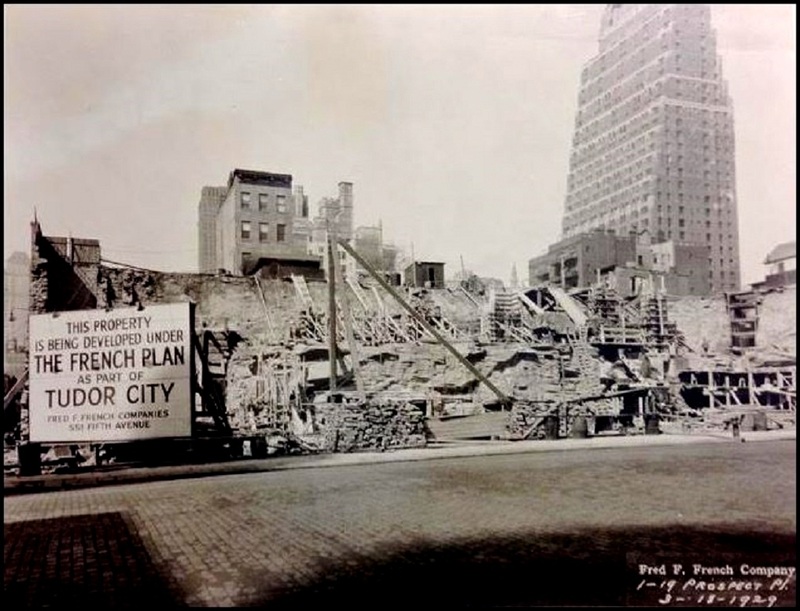 Heavy construction throughout the enclave as Tudor City rises. The French Company installs a miniature golf course in an effort to distract from the chaos. 1929. The future site of No. 2, being bulldozed. 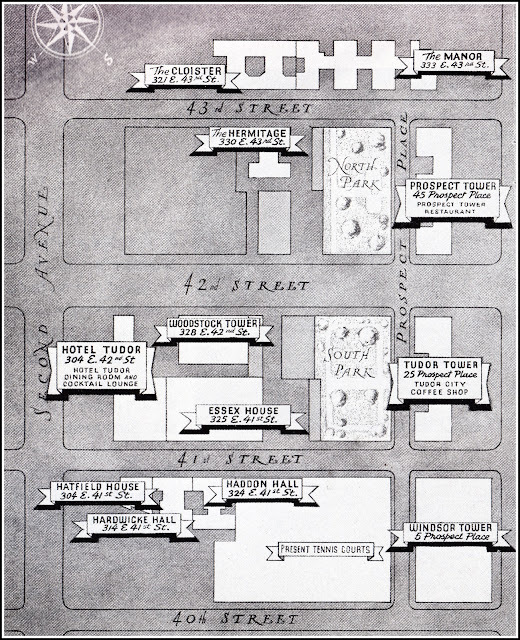 The Woodstock, top right. 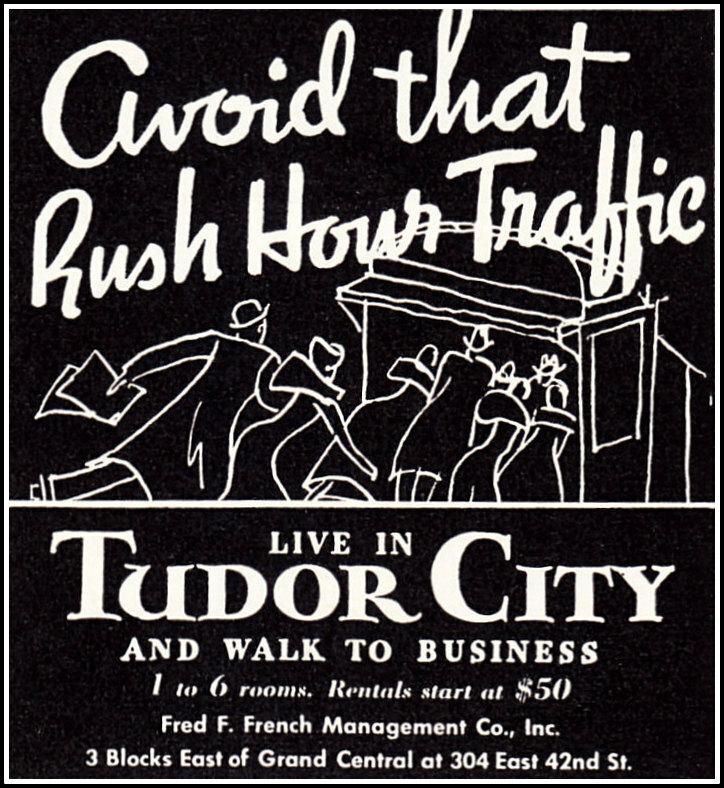 Tudor City workers walk off the job, part of a city-wide strike by their union. 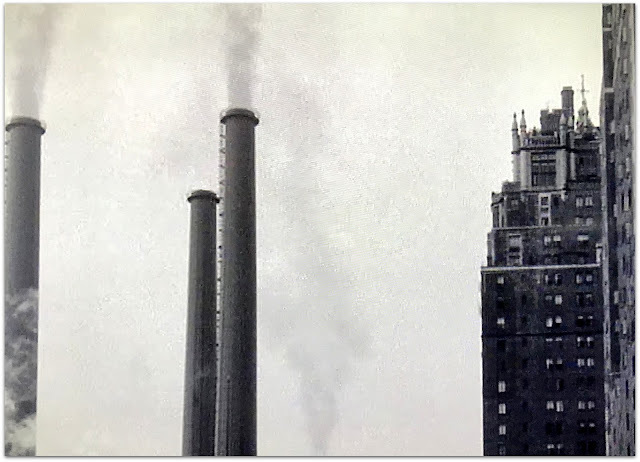 Bare-bones elevator service, iffy telephone switchboard connections, and ever-accumulating garbage are the result. See our recent post on this week-long ordeal here. 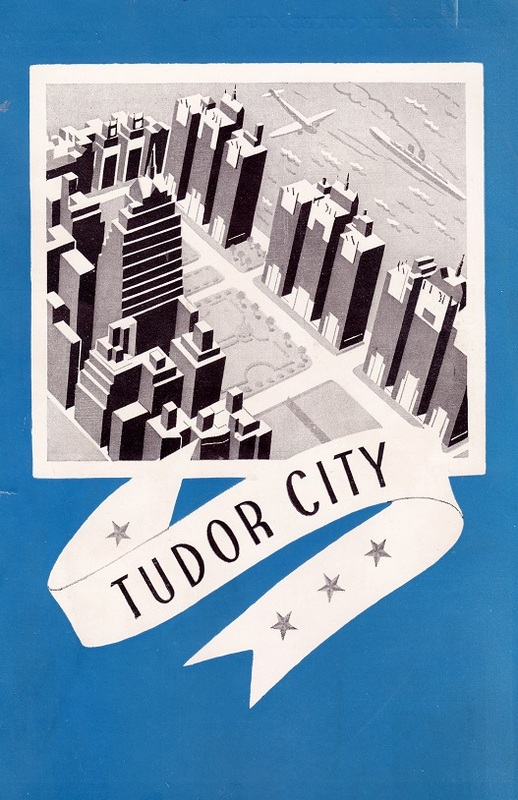 The arrival of the U.N. brings many changes to Tudor City. Streets are widened, parks narrowed, bridges built, rowhouses razed, and staircases reconfigured. More details here. 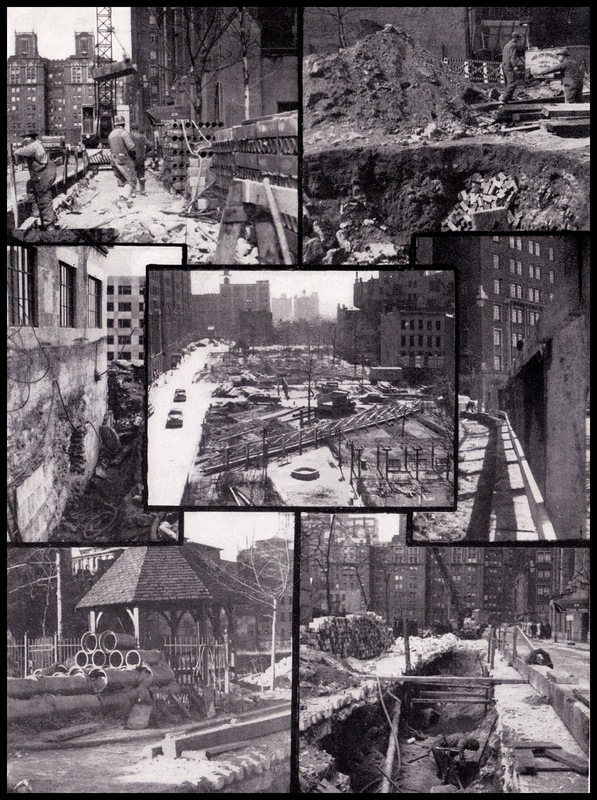 A montage of horrors, via Tudor City View, the neighborhood's monthly magazine. Living in Tudor City and walking home from work ‒ through a war zone on 42nd St. That's The Woodstock in the background, in the process of having its front entrance lowered 17 feet. Air pollution becomes a hot-button issue in post-war America when smog becomes part of the national conversation. Tudor City has its own local "soot nuisance," the Edison steam plant at 40th St and First Ave. The power plant eventually closes, and its smokestacks are razed in 2007. The smokestacks opposite No. 5, around 1950. 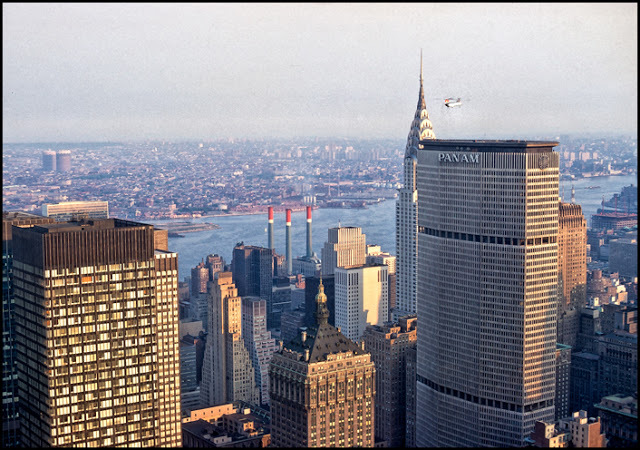 The Jet Age ‒ or at least the Helicopter Age ‒ collides with Tudor City when Pan Am inaugurates copter service from JFK to its Park Avenue heliport. The flight plan goes directly over the enclave, the copters are loud, and the service frequent ‒ 50 flights a day, roughly four per hour. Read more about it here. A chopper about to alight on the heliport. 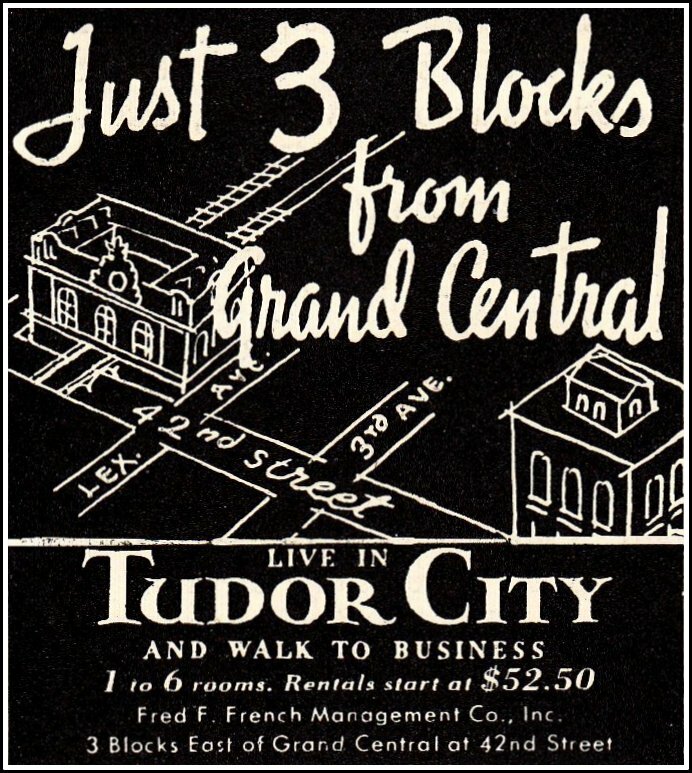 Tudor City just north of the smokestacks. The date Harry Helmsley's bulldozer pulls up the North Park to begin its demolishment. 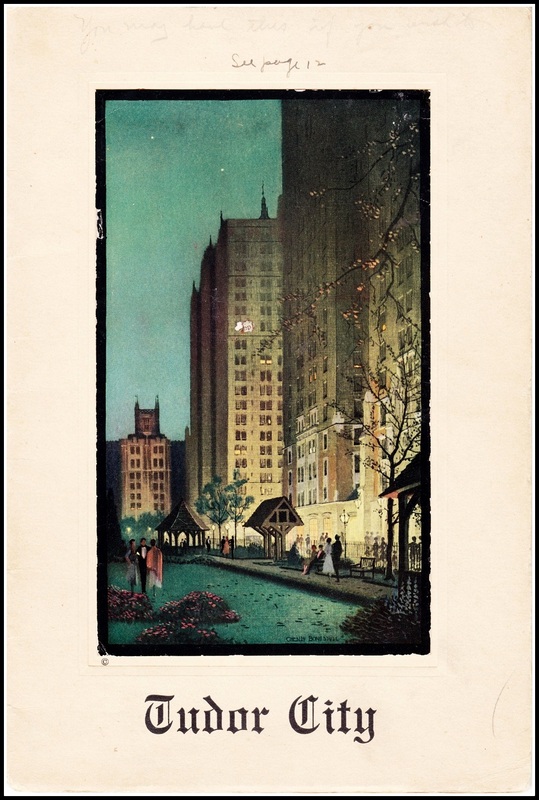 The owner of most of Tudor City, Helmsley has been trying to replace its parks with apartment towers for a decade, and is fed up. The decade has been equally unsettling for residents, who live in fear that their parks will be taken away. The full story here. Protesters in the North Park, 1980. That's plywood fencing behind them, put in place to prepare for demolition. So, today's message is count your blessings. I remember that rally and John very well, having taken part. 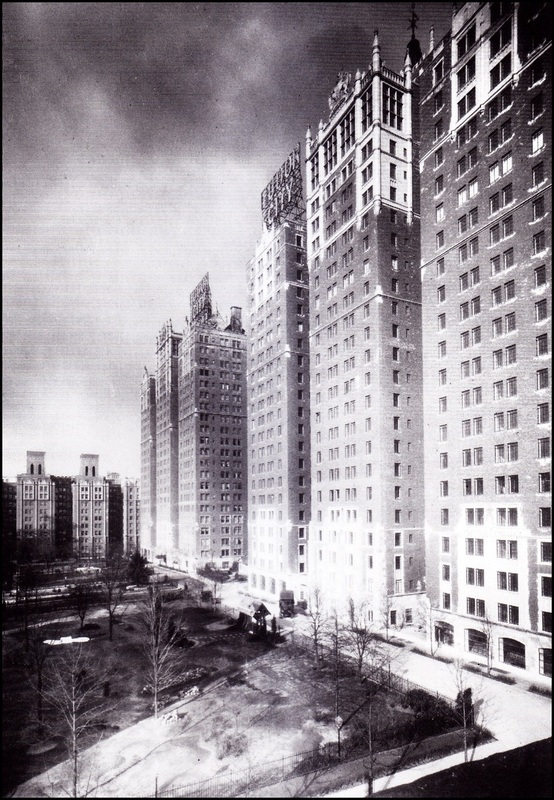 There were many rallies and one of the rally call was "down with Helmsley save our parks" - when PBS did a special on Leona Helmsley years ago, there was even footage of the rallies and demonstrations in Tudor city.